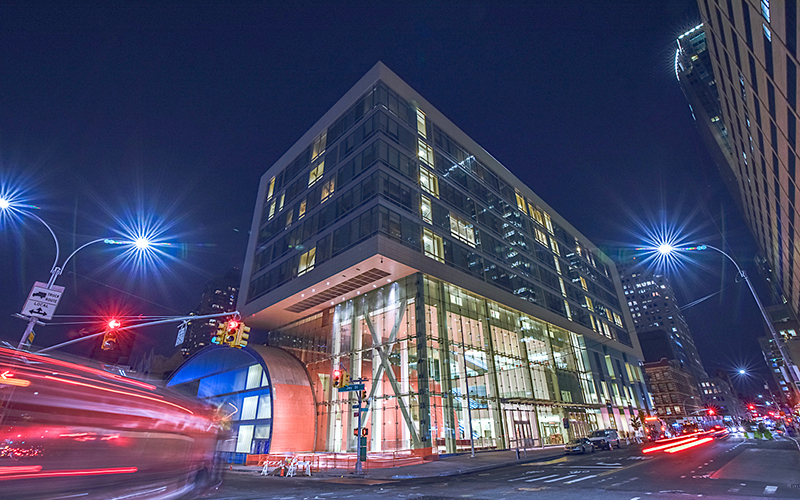 Brooklyn, NY The New York City College of Technology (City Tech) celebrated the official opening of its new 365,000 s/f academic complex, following a $410 million project drawing together the latest educational technology with the downtown area’s renaissance. The lobby at City Tech’s Academic Complex. “We are excited to celebrate the new face of City Tech along with our key stakeholders, supporters and friends. This new building represents a significant investment by the state of New York, and we are grateful for the support of governor Cuomo and so many others who were involved in this project. We are confident that this new complex will allow us to further our mission of preparing the technologically sophisticated workforce needed to keep New York competitive and support core sectors of New York’s economy that few would have imagined at the College’s founding,” said City Tech’s president, Russell Hotzler. Located at 285 Jay St., directly across from the college’s main campus, the building is the newest addition to the borough’s ever-expanding Tech Triangle. The eight-story, 365,000 s/f complex is the new home of City Tech’s clinical healthcare and sciences programs, a 1,000-seat theater, an 800-seat gymnasium and a wellness center. Designed by the architectural firm Perkins Eastman and built by Sciame Construction LLC, the new building reflects the high-tech identity of the college. Featuring a glazing system and natural daylighting throughout to help reduce energy consumption, the project was designed to achieve LEED Gold certification. As an epicenter of STEM education at the City University of New York (CUNY), the building’s practice labs and smart classrooms serve programs in restorative dentistry, dental hygiene, radiologic Technology and medical imaging, nursing, health services administration, human services, as well as the biological sciences and chemistry. 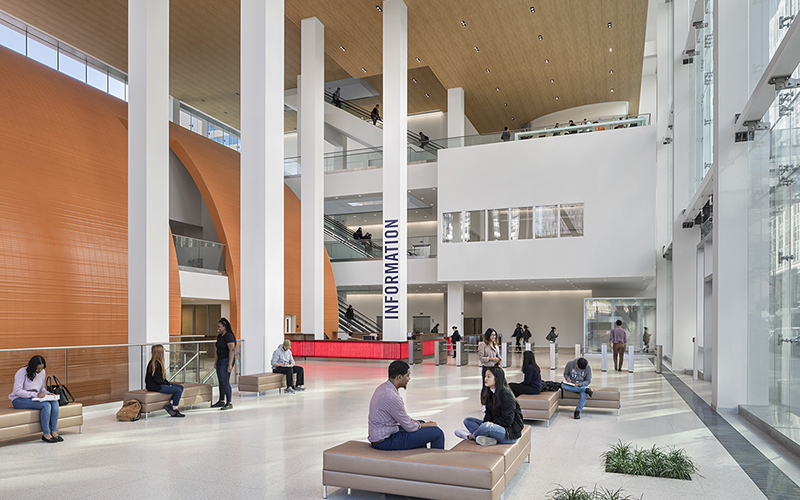 Designed by the architectural firm Perkins Eastman and built by Sciame Construction LLC, the new building reflects the high-tech identity of the College. Featuring a high-performance glazing system and natural daylighting throughout to help reduce energy consumption, the project was designed to achieve LEED Gold certification. City Tech is highly recognized for its strong tradition of providing economic mobility to its extraordinarily diverse student population. The advent of this new technologically sophisticated building will provide generations of students with even more opportunities to attain professional success.